The DC Council Universal Paid Leave legislation appears to be moving forward quickly with passage likely by the end of December. Today Chairman Mendelson will release a new version of his legislation. Councilmember David Grosso has told the press this legislation will be the most expansive paid leave benefit in the country. From coalition conversations and what has been reported in the press the bill will consist of 11 weeks of maternity/paternity leave and 8 weeks to care for a parent or grandparent. Employees would be eligible to receive up to 90% of salary with the benefit being capped at $1,000 a week. The bill will cover those who work in DC regardless of where they live. Both Federal employees and DC residents who work in other jurisdictions will not be permitted to opt-in to the program. The program will be funded by a .62% payroll tax that is estimated to begin in January of 2019 that will create a new technology infrastructure and a DC government-run program. Employees will not be able to draw benefits from the fund until January of 2020. NUCA of DC has serious concerns as to how some of our members will be able to both pay the tax and provide strong benefits during this period of limbo. Chairman Mendelson has reiterated his goal to pass the legislation before January. He plans to have the council take the first vote on Dec. 6 and the final vote on Dec. 20. Should the council vote twice in favor of the bill, it will be up to Mayor Muriel Bowser whether to veto the legislation. Bowser has voiced concern about the bill’s cost and its impact on the business community. The law would also need to be approved by the Republican-controlled Congress, though it is rare for Congress to invalidate a District law. 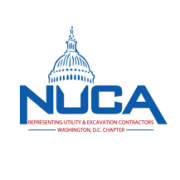 NUCA of DC, in conjunction with other invested organizations will continue to push for the alternative Employer Mandate model as it provides full wage replacement for 8 weeks at a lower cost while preserving the existing employer-employee benefits relationship. We will be sure to keep you updated as this issue progresses. President-elect Donald Trump’s ambitious proposal for improving the nation’s infrastructure relies on private financing, but the plan has its critics. Once financed by private enterprise and tax incentives, infrastructure projects under Trump’s plan would speed through the “boondoggle” of “red tape” via a proposed streamlined approval process. Projects would “put American steel made by American workers into the backbone of America’s infrastructure,” according to the vision statement, co-authored in part by Ross. A billionaire investor, he specializes in bankruptcies and has “parlayed a series of ballsy political and financial gambles on left-for-dead assets—midwestern steel mills, southern textile mills, and Appalachian coal mines—into an empire.” It’s unclear how Trump’s administration would dictate that private companies use only American steel when Trump himself relied on cheaper Chinese steel in his own real estate development projects. The Trump vision also touts an increase in private sector investment to “better connect American coal and shale energy production with markets and consumers.” Notably absent is any mention of investment in renewable energy infrastructure. Learn more about Elizabeth Evitts Dickinson at her website and follow her on Twitter @elizdickinson. Elizabeth Evitts Dickinson has been a contributing editor with ARCHITECT since 2008. Her articles and essays have appeared in The New York Times, Metropolis, Fast Company‘s Co.Design, and The Atlantic‘s CityLab, among many other publications.